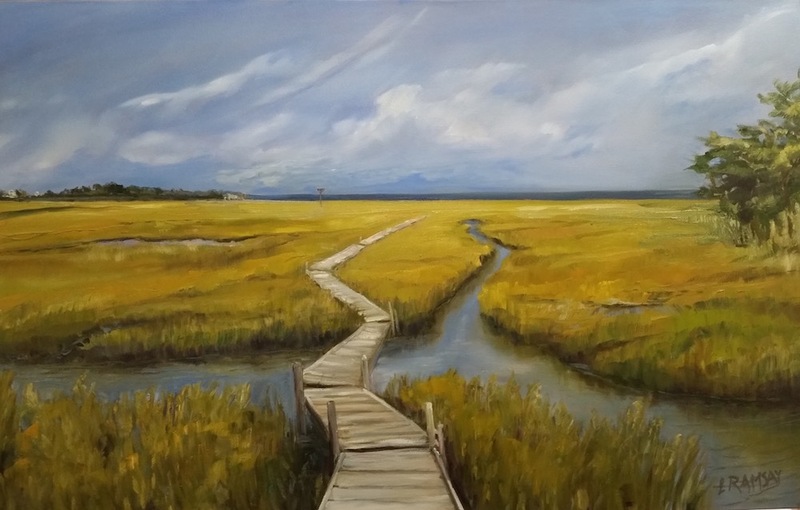 Linda (Cline) Ramsay was born in Philadelphia, PA. She attended the Philadelphia College of Art and received a B.A. 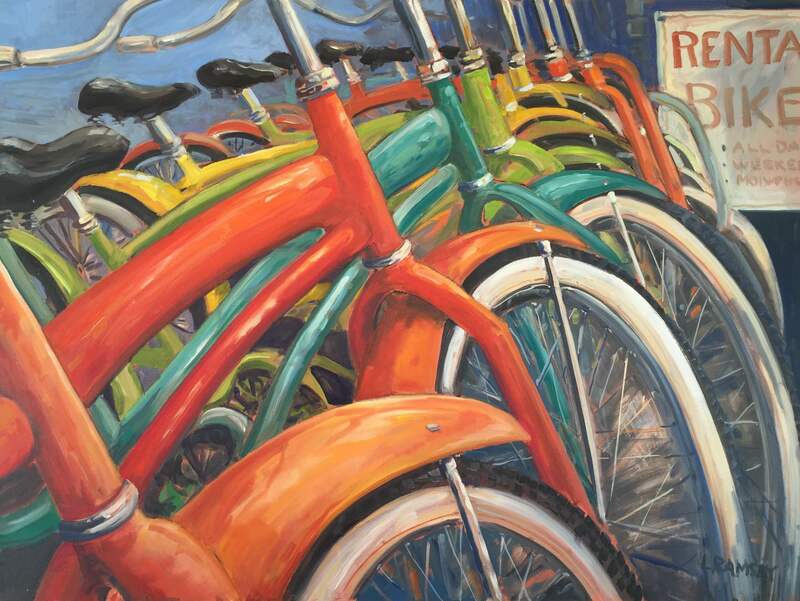 from Rutgers University. 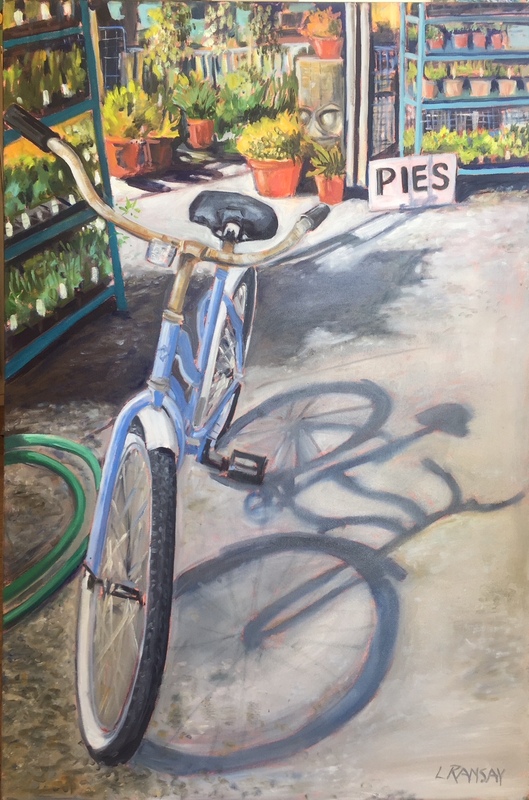 Linda studied abroad in France and Italy her junior year. 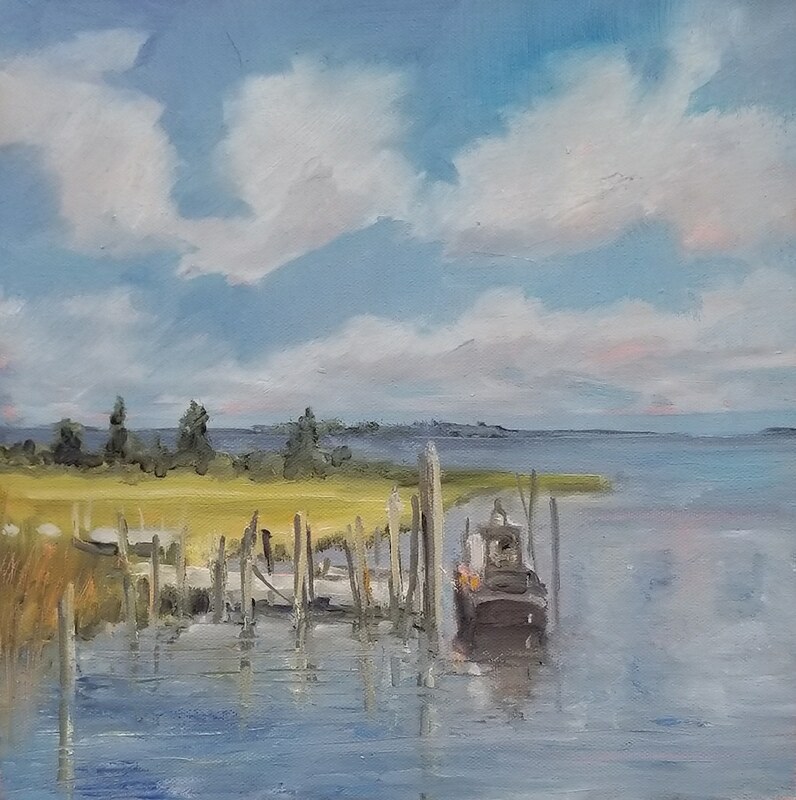 Linda is a member of the Pine Shores Art Association and Plein Air Group, where she is also an instructor. 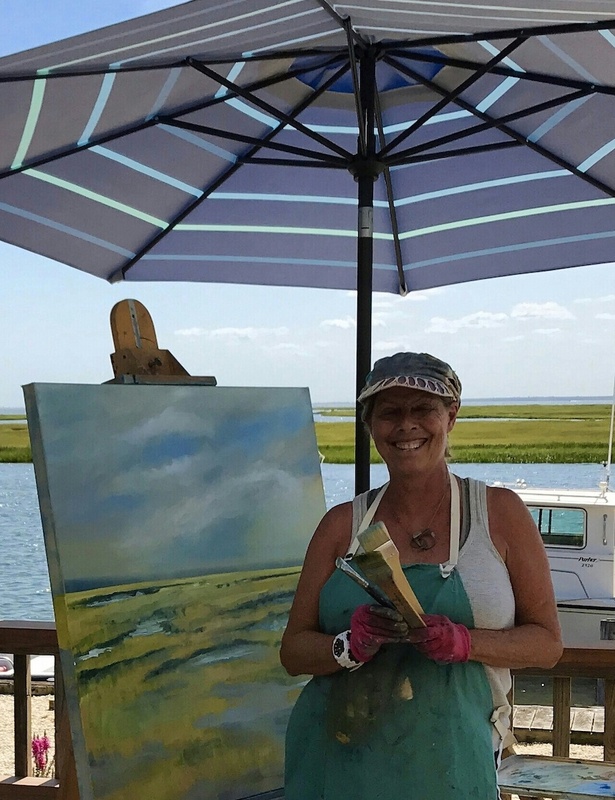 She belongs to the Cape May Art League and is on the Board of Trustees of the LBI Arts Council. 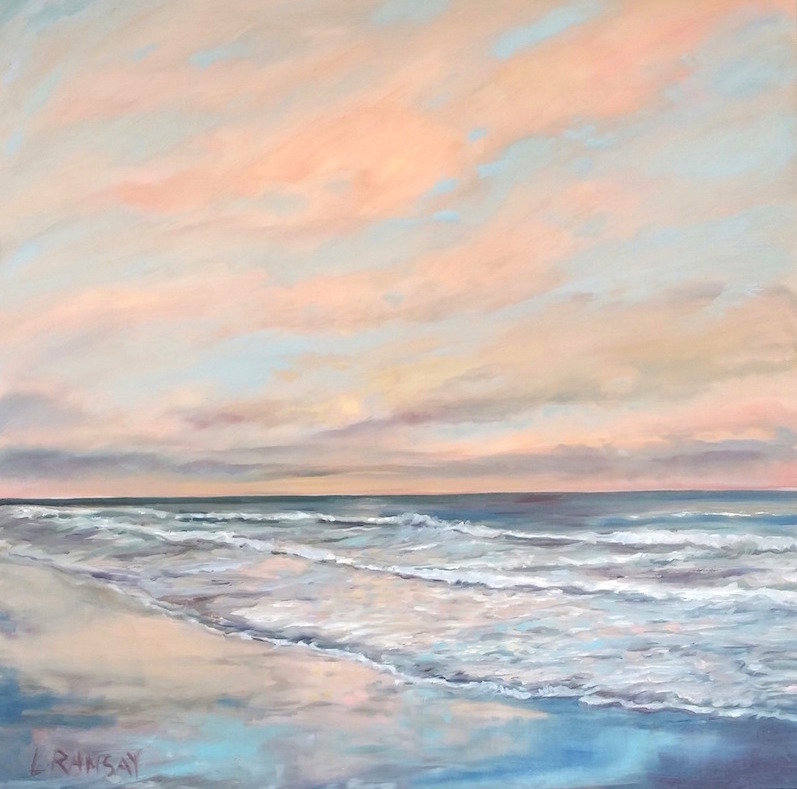 Linda’s work hangs in private homes and public collections throughout the United States and England. 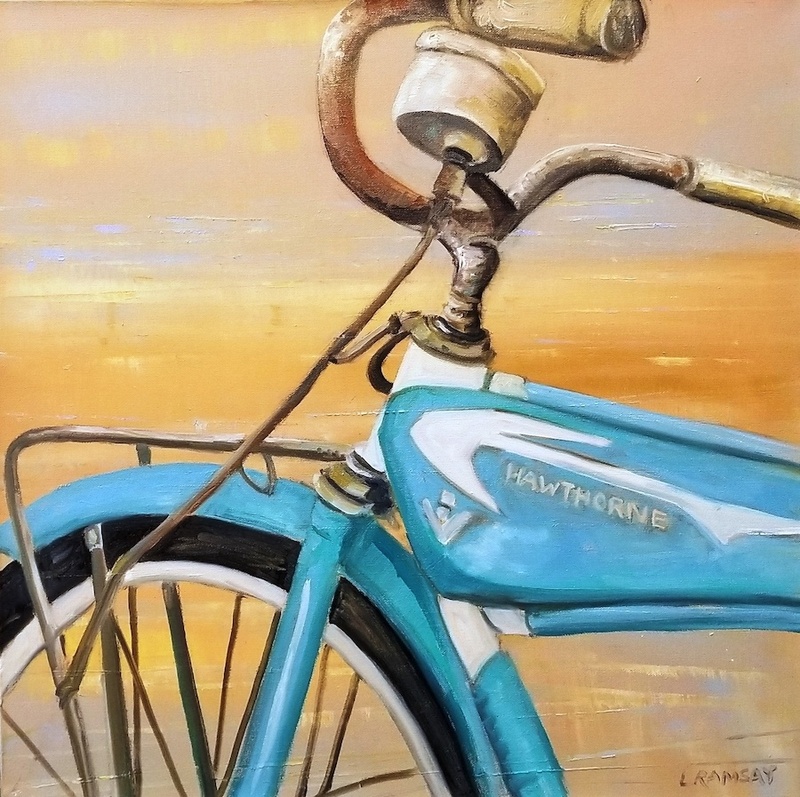 Linda’s work is inspired by nature as well as objects she finds interesting to paint. 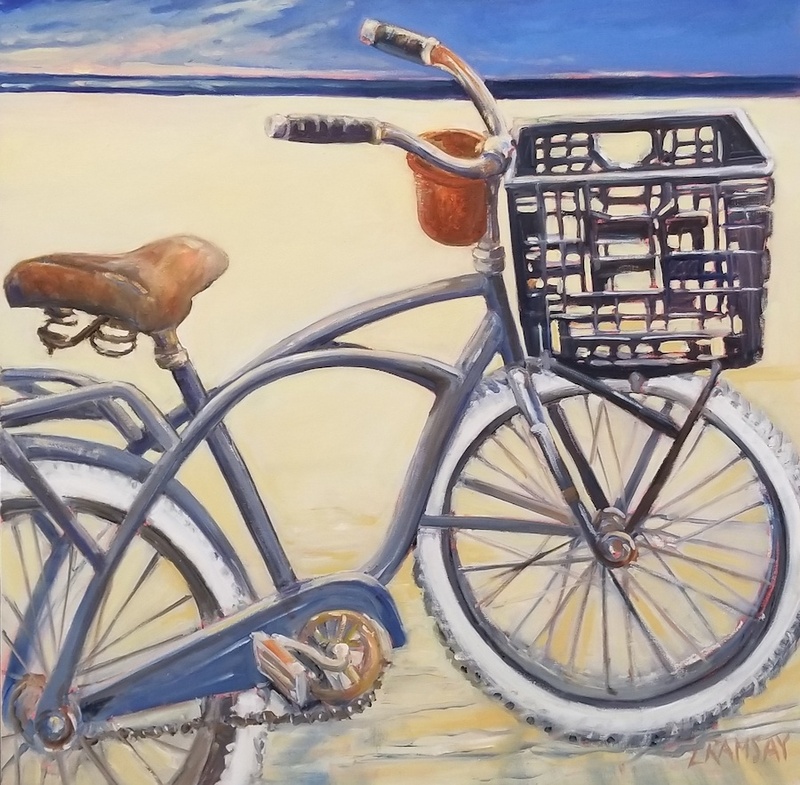 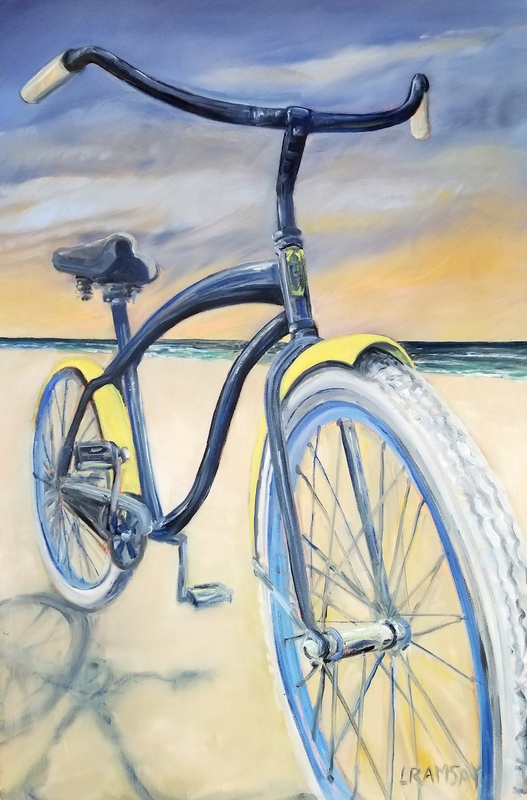 She especially enjoys painting seascapes and vintage bikes, both from photographs and plein air. 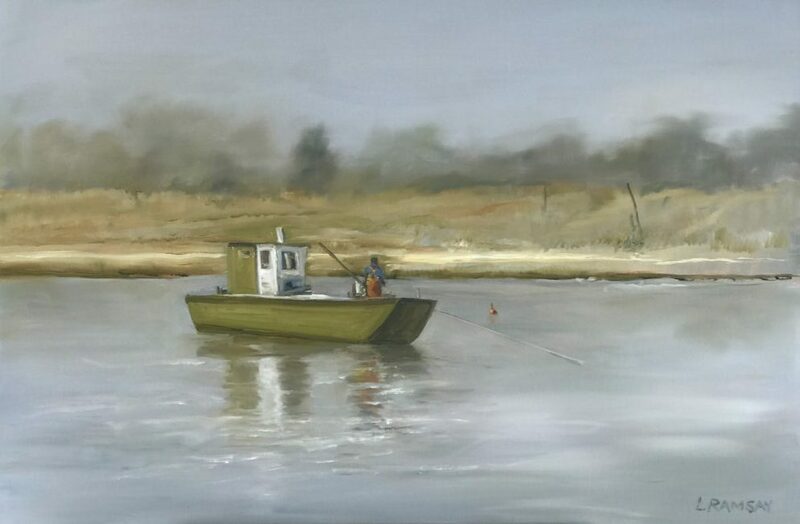 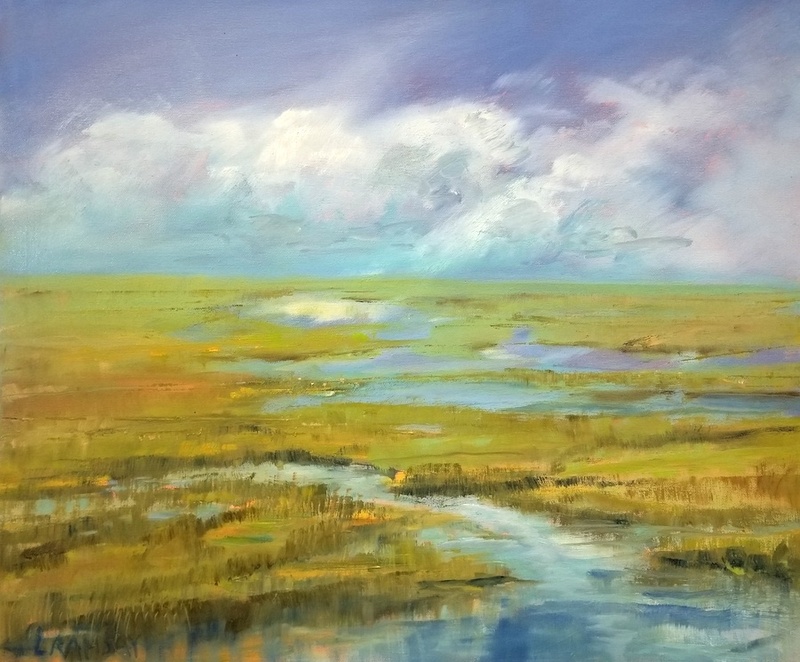 An emphasis on the fleeting effect of light reflecting on the water, the ever changing colors and shadows of the marshes, the bay, and the sky provide Linda with a wealth of subject matter. 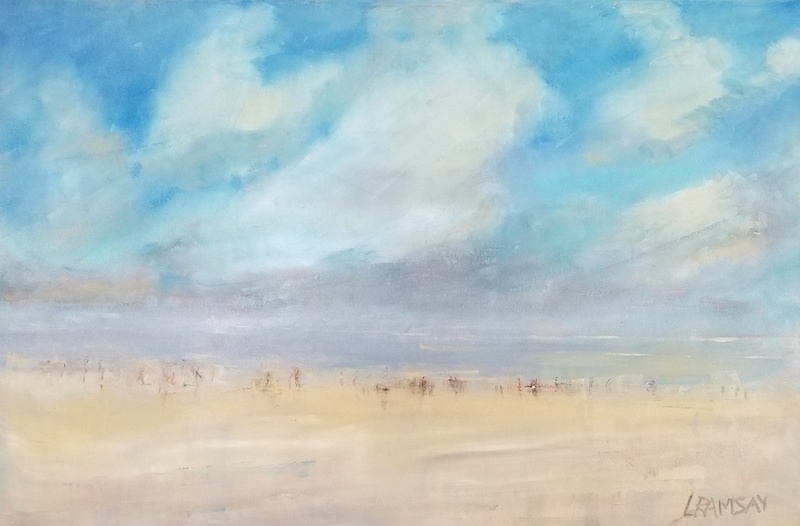 With a studio on LBI, the local landmarks and icons of this beach community are a recurring theme in Linda’s work. 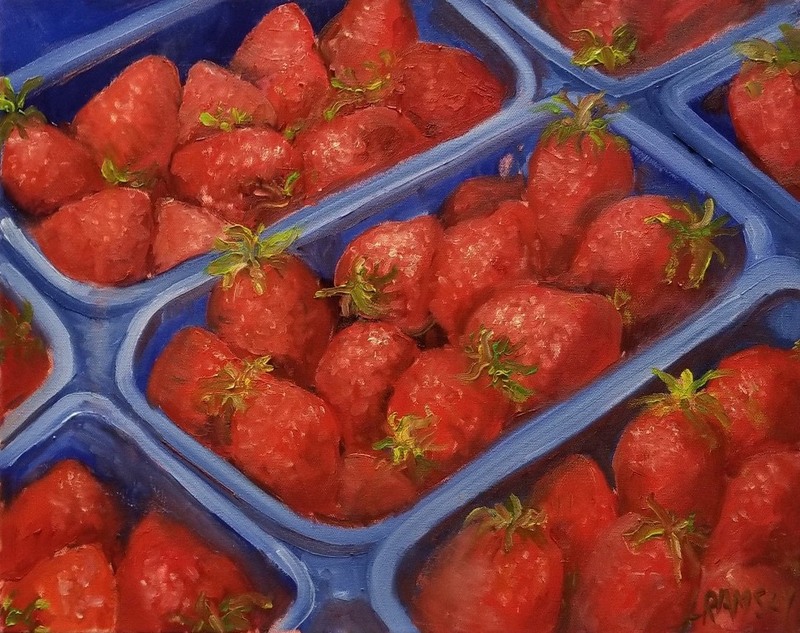 Linda’s work is done in an impressionistic style with loose and visible brush strokes. 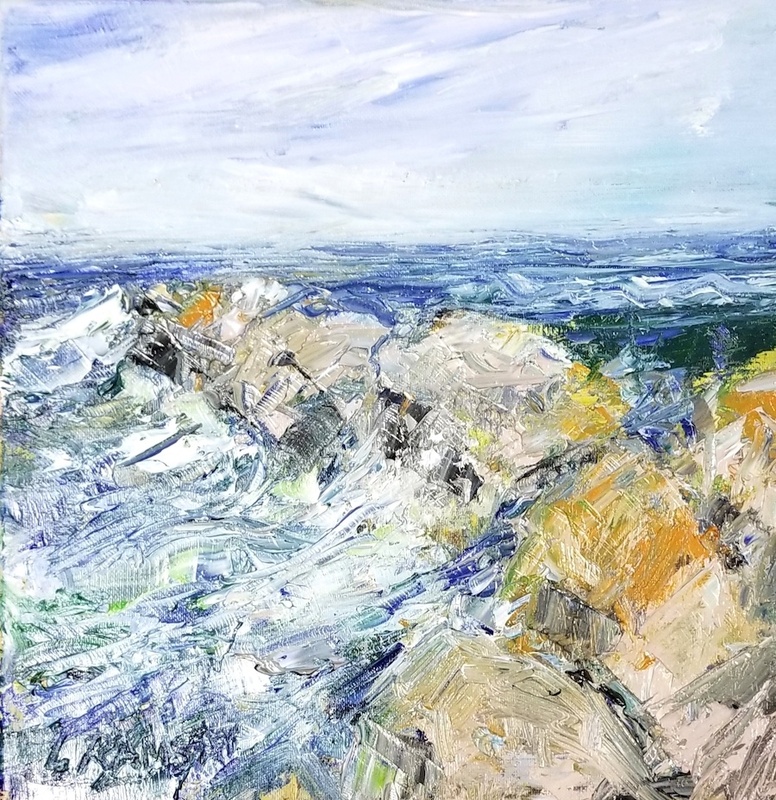 She seeks to infuse her work to elicit a mood or memory for the viewer.